Let’s make something yummy this week! Happy Super Bowl Day!!!! I have no team in the game! So I’m just rooting to root because I am a big football fan! Super Bowl is a little bittersweet for me because I love football so much and this is the last game of the year! Here at StoneGable we are having a pretty quiet day! A great recipe for Super Bowl is soup. Today’s soup is new to me but sounds like a winner! Don’t forget to listen in to DECORATING TIPS AND TRICKS this week on your phone or HERE. We have 3 new decorating episodes for you to enjoy. Every Monday, Wednesday, and Friday a new podcast edition comes out! You might have noticed that we eat Nani’s Sauteed Chicken pretty regularly. We just love it so so much. 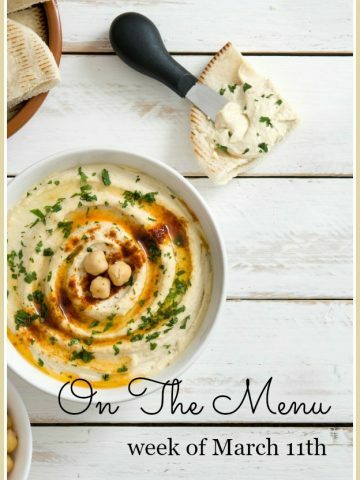 If I had to pick one recipe that is my go-to recipe this would be it! Today is a big day for me! I can finally walk in a boot with a walker. I’ve not walked for 8 weeks. I can’t wait. But I’ll be careful not to overdo it. I bet you will never guess what I am looking forward to doing… MAKING MY BED! I miss getting into a well made bed at night. Today’s recipe is my son’s favorite! YUM! I’ll be eating mine without the peas! Chris and Abby, come on over and celebrate with us! Are you thinking about spring yet? I am! I’ll be starting to decorating for spring in a week or two. But I won’t be cooking with spring ingredients until they show up here in late March. I love anything with Tex-Mex flavor! So here’s a good for you stew with those warm south of the border spices. What do you eat for breakfast? I’m not a huge breakfast eater but I do love a protein shake from Juice Plus to give my body a kickstart in the am! I’m crazy about a chocolate shake and I add peanut butter powder. So good and healthy. You can find about Juice Plus and order the shakes HERE. I’m a huge fan of trout. It has such a rich flavor and a great texture. This is another new to me recipe. Check out Julia’s Album… such great recipes! What is your favorite cooking show? I’m a Saturday morning food network junkie. If I’m home I have it on in the background and get culinary inspiration! 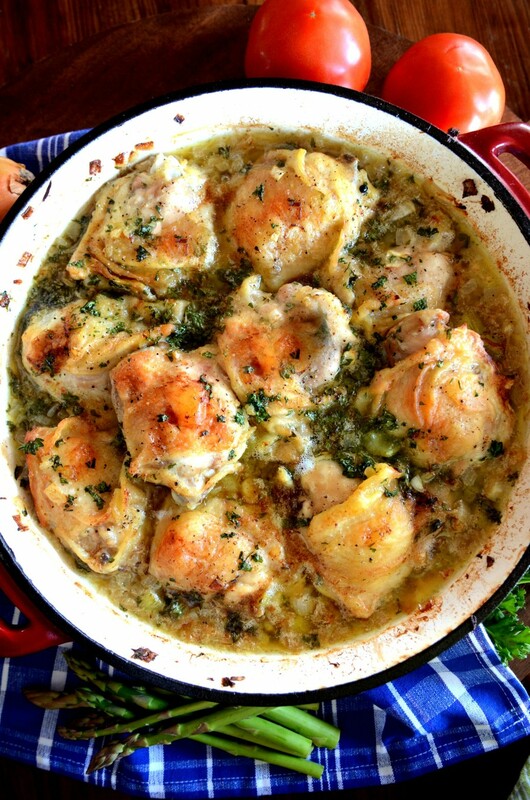 Have you ever made a whole chicken in a slow cooker? Stick a big salted and peppered chicken in a slow cooker with a quartered onion, 2 rough chopped celery ribs, about 10 baby carrots and just enough water to cover the bottom of the pot. Cook on low for 8 hours or until completely done. It falls apart and I use some to eat for dinner and the rest for another recipe. I save the carcass and every bone to make homemade chicken stock. Look for an upcoming recipe for Homemade Chicken Stock. It’s amazing and has so many uses! I have a thing for little hand pies! This is such a glorious recipe from Cooknock! Gotta love coffee with some chocolate! What’s better with coffee than coffee cake, right? I have tons of great recipes on my FOODIE FRIDAY board. You might like to follow me on Pinterest and see all the recipes I’m finding to pin HERE. You are probably the most “put to-gether” person I have ever seen! I wish I shared your enthusiasm over everything! You are incredible!!! I have to chuckle a little about your love of Wegmans. I live in Rochester, where the family store originated and guess I forget how fortunate we are to have that level of a grocery store. Mine is 2 minutes away from my home and it’s just the “norm” for years to shop in a store of that quality here! I miss Wegmans!!!!!! I moved from the Erie Pa. area to the Pittsburgh area and there are no Wegmans here. Such a great store, miss buying from the bulk section so much!! Have fun!!!!!! Yummy! Thanks for sharing recipes that are easy to make and taste wonderful! 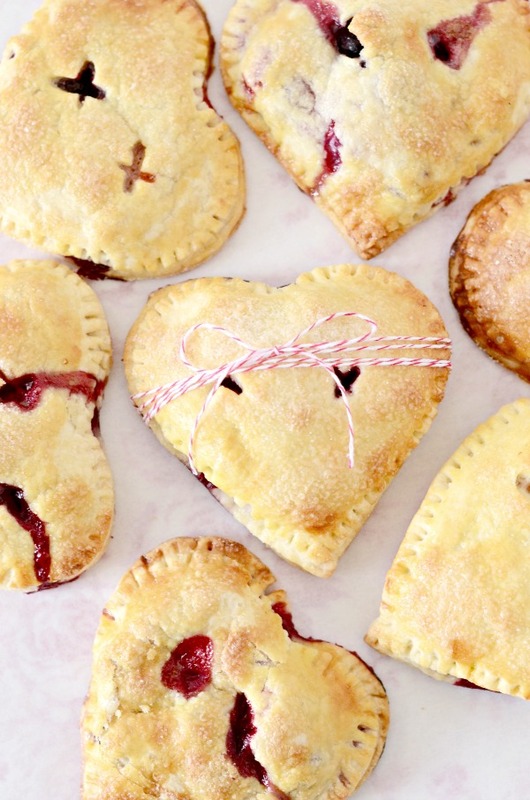 Love the Valentine hand pies! Love Sheperds Pie! I will def make this one~! Thx! Every recipe sounds so yummy! I’m going to try them all because I think I’ve been in a rut lately. 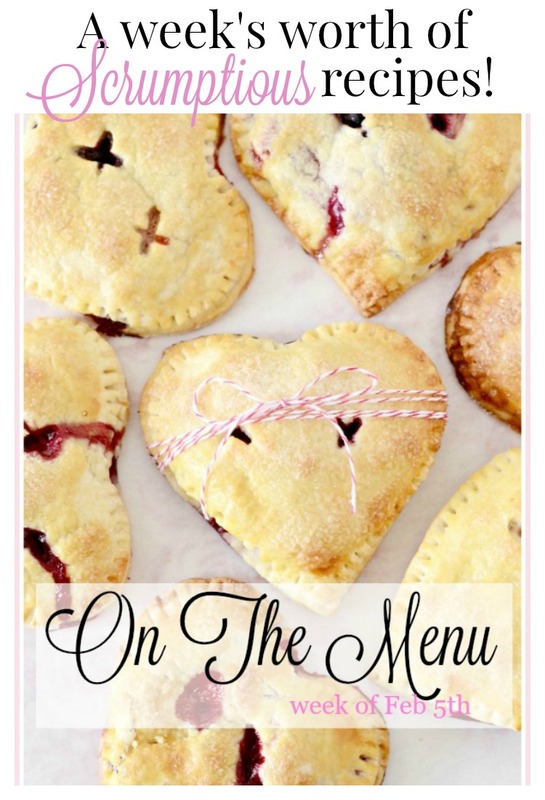 I will be making the Valentine hand pies this week and can’t wait to try the coffee. I have so enjoyed your posts and decorating tips. I have made the pom pom wreath, the sweater wreath and several of your recipes. Glad you are getting out and your recovery continues to go well. I’m not familiar with Wegman’s but we do have Steinmart here and I do enjoy a trip there on occasion. I’m glad you were able to get out and enjoy yourself. The Chicken Tortilla Soup you share is a little different than what I’m used to; I’ve never seen it made with the squash and green beans; I’m used to seeing it made with corn. I’ll have to give this option a try; it sounds yummy. And that hot chocolate coffee and your coffee cake? YUM! Thanks for sharing your favorite recipes. It appears that your home is pretty much perfect, so I, for one, appreciate that instead of repeating over and over – or redoing a room just for the sake of your blog – that you’ve instead switched to sharing recipes (and those mouth-watering photos) with us. They are simple, hearty and healthy and I’ve tried a few of them. I make the Shepherd’s Pie without peas (yuk) but have been known to add instead, tender chopped asparagus. I’m so happy that you are at the end of the worst part of your recovery, but no dancing a jig yet! 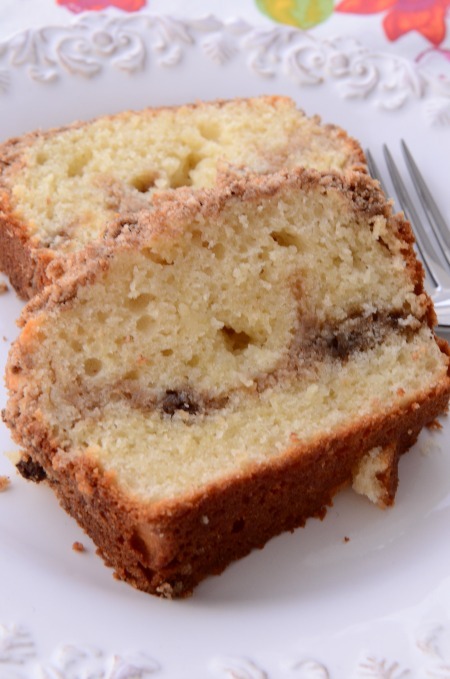 Delicious looking recipes today, I will have to try some of them, that coffee cake is yummy looking. Everything you shared looked and sounded so good. My husband loves to make Shepard’s pie. Have a great Super Bowl Sunday! This all looks so yummy!! And I am loving the podcast! I work a lot so having the option to listen in my car is fantastic! Thanks for the recipes . I like the Valentine pies and the coffee cake, which I will pin and try. I’m so happy your recovery is coming along well!! My favorite cooking show is the Barefoot Contessa. 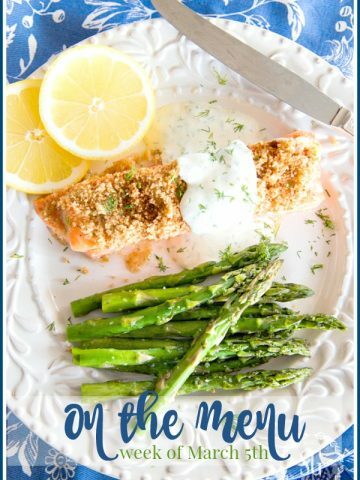 Her recipes are easy to follow and oh so delicious!! I’ve been listening to the podcast and am REALLY enjoying it! Great job, ladies!! wooden board into boiling water and drain when cooked. I would love to know how you make yours. ???? your blog! 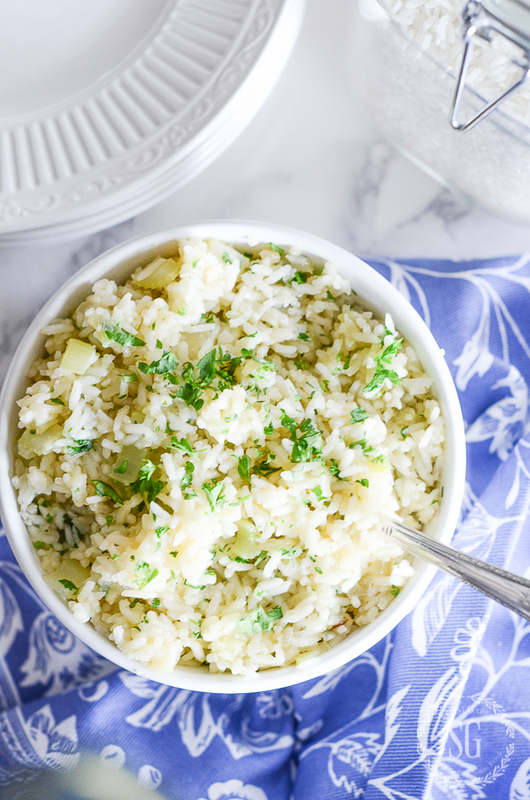 Hi Jeanne, I make Halushki with with green cabbage, onions, noodles and cottage cheese! YUM! Wishing you all the best. You sure have a trouper.Your quality of your blog has not suffered one bit.I am amazed on how you did it. GOD BLESS!! Yvonne would it be possible to give us your recipes for an authentic Hungarian dinner? You reminded me of Hakushki which my Hungarian grandmother made all the time. Yummy! What is your recipe for chicken Paprikash? Would love to have it! I love Chicken Paprikash! I’ll make that soon and share it! We have another rain storm on its way here ( so. Calif.) So chicken noodle soup is on the menu and your sweet heart pies will be dessert….we can’t wait! Thank You for sharing. Yum for sure! We don’t have Wegmans in NC, but it sounds like a fun field trip! Need to try the shepherds pie and coffee cake. Both sound delicious! All looks so good. I want to try the sour cream coffee cake. My daughter is coming home from England this week for 3 months – yay! She is vegetarian so I am going to try out some new recipes I’m looking forward to. So glad you’re able to get out for a bit. I have got to try the hand pies for valentines day – I’m sure they’ll be a hit. My daughter makes a slow cooker chicken tortilla soup. It is “to die for”! It’s winter in Wisconsin and nothing warms the cold out of our chilly bones like hot soup and yummy baked goods! 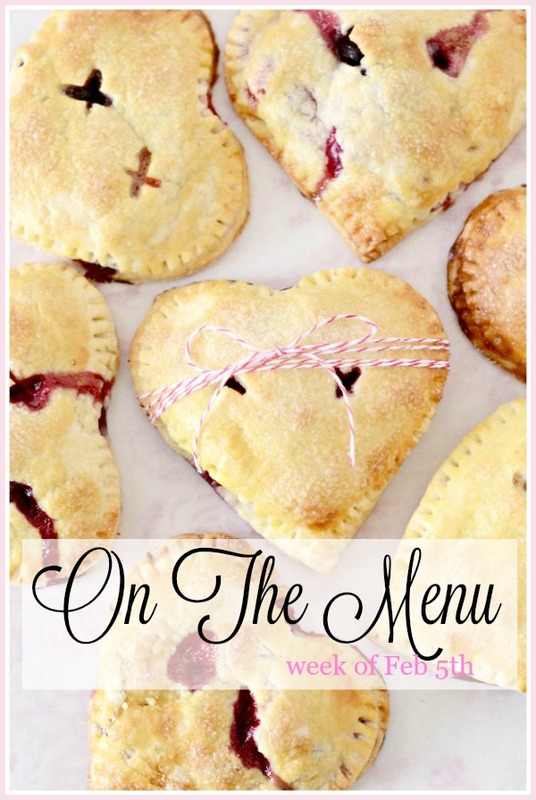 I’ve got my eye on your On The Menu post this week-especially the soup and the coffee cake and hand pie recipes. The shepherd’s pie looks amazing too. Your blog is one of my favorites and I love the gorgeous photos of your beautiful home. I find inspiration in your creativity! I am a Georgia Peach and a fan of the Falcons. Praying for a win out of my feathered friends. I have heard it said “You know the return of Christ is near when the Flacons go to the Super Bowl”. All I can say is “Look up for our Redemption is near”. I love watching the Food Network on Saturday mornings too. My favorite is the pioneer Woman. I have all her cookbooks and get so much inspiration from her. I also enjoy Farmhous Rules and Trisha Yearwood. The shepherds pie looks delicious! Total comfort food! Yvonne, just want to say how much I LOVE your blog! The decorating, the recipes, the messages about the Lord are such a blessing to me! So glad that you are on the mend and are out and about. Wegman’s is one of my favorite places too! Have a blessed weekend! Yum as usual Yvonne. I have made Christopher’s Shepherd’s Pie. So good; now a permanent in my repertoire. Have great fun on your outing, a relaxing evening and a blessed Sunday. 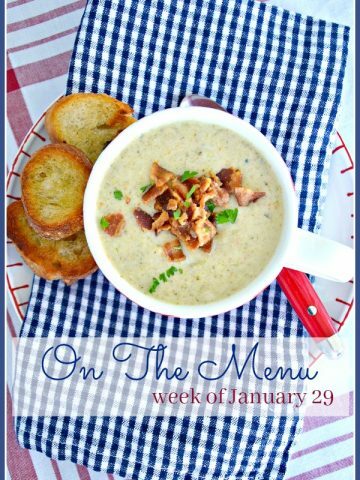 Thanks for this weekly culinary inspiration. Also, I am so enjoying the podcasts. Many thanks for that as well. So happy to read your post today and read that you are a Wegmans fan! I am a 19 year employee of Wegmans here in NY . A great place to both shop and work! Wende! Thanks for making my favorite place to shop even better now! I just had knee surgery myself and I’m feeling housebound already. However did you cope? I printed out and pinned the hand pies (yum!) and the sour cream coffee cake. It’s a very different way of doing it from the traditional method. I like that the topping is on two levels. It’s my favourite part! I saw you had Halushki on the menu. I’m wondering if this is the potato dumpling dish that has cheese, butter and browned onion? My grandmother used to make Halushki. The summer she passed away I was with her in the kitchen and watched her make it. I wrote everything down as carefully as I could since she didn’t measure anything. I can’t find that paper anywhere. It’s been 16 years since she passed. 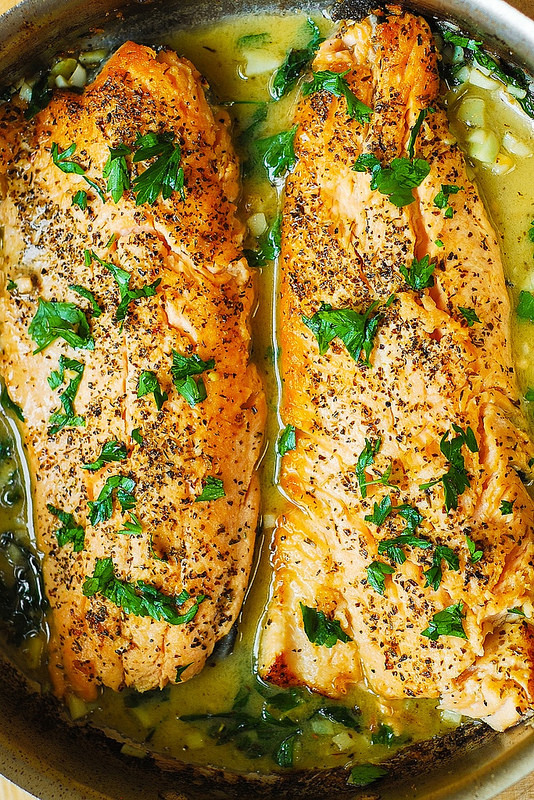 Are you planning to post this recipe in the future? I would love to try it. Thank you. 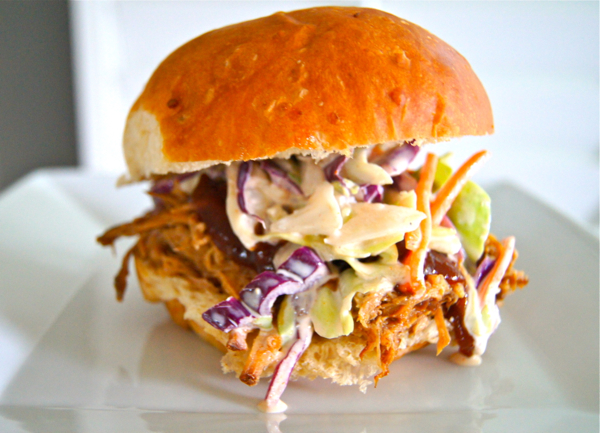 Love pulled pork sandwiches with cole slaw! The sour cream coffee cake looks yummy, too. 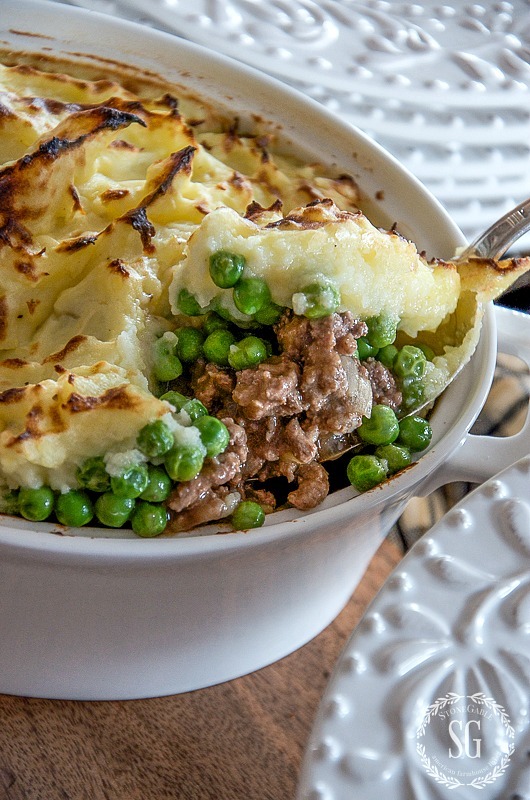 The shepherd’s pie looks good and perfect for this time of year! I’ll definitely have to try it. Yummy! 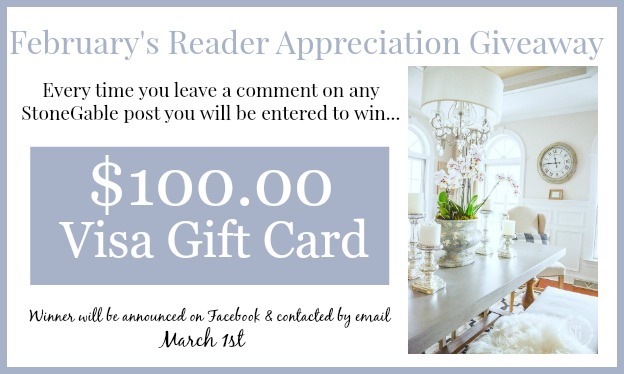 I just gained 20 pounds reading your post! That WAS you at Wegmans, Saturday around 3 or 4pm? Oh I wish I had stopped you and said hello. I saw a smiling blonde in a scooter cart and thought it might be you. Glad you got out!! Sorry Wegmans was so crazy on this particular Saturday. Oh, my goodness Jen! Yes, that was me and it was crazy at Wegmans. Fabulous but crazy! Great to hear of your “field trip”! I know you had fun! 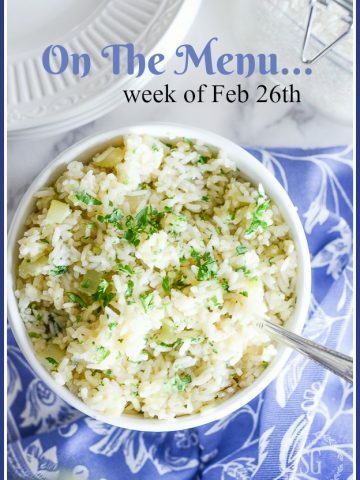 Thanks for your weekly menu posts as I get so many good recipes and ideas from them. I am rooting for the Atlanta Falcons on Sunday since I live in Atlanta. Just give us a yell every once in a while on Sunday…LOL. Yummy!! I must try those hand pies – they look so delicious.